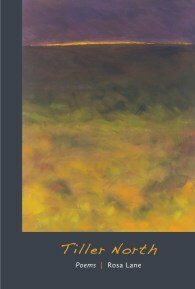 My thanks to the excellent ArtWay for The Christ Hymn, which features poetry by Malcolm Guite, Scott Cairns, Joel McKerrow, and Luci Shaw. The paintings are by Julie Ann Stevens. The musical composition is by Alana Levandoski. Writing Without Paper is taking a break for the holidays. Wishing all of my readers the blessings of this season. See you again on January 2. Today's short is the charming "Gedicht", an animated film based on a poem by Russian writer Daniil Kharms (1905-1942): "One man was pursuing another when the latter, who was running away, in his turn, pursued a third man who, not sensing the chase behind him, was simply walking at a brisk pace along the pavement". The film is by Karolien Raeymaekers. gedicht from Karolien Raeymaekers on Vimeo. My thanks to TOI Gallery for the link. ✦ Karl Martens is an exquisite painter of birds. 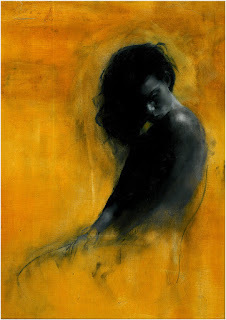 His watercolors are available through Cricket Fine Art in Chelsea, London, United Kingdom. In January, Martens will have a solo exhibition at Orsta Gallery, Kumla, Sweden. ✦ The Design Museum has relocated to Kensington High Street, London. Its opening exhibition, continuing through February 19, 2017, is "Beazley Designs of the Year". ✦ In her feature on Robert Rauschenberg (1925-2008), Olivia Laing of The Guardian describes the artist as boldly ambitious and "a technical pioneer in multiple disciplines". Read "Robert Rauschenberg and the Subversive Language of Junk". ✦ Read an excellent interview with Arab-American painter and poet/writer Etal Adnan. 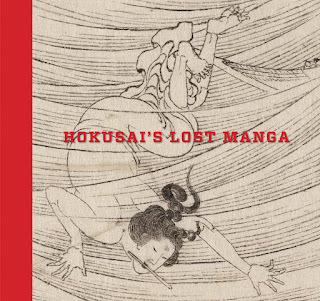 ✦ Sarah E. Thompson, curator of Japanese art at the Museum of Fine Arts, Boston, has published Hokusai's Lost Manga, a collection of drawings, seen for the first time in nearly two centuries, that likely were intended for the final volume of the famous printmaker's Manga series. 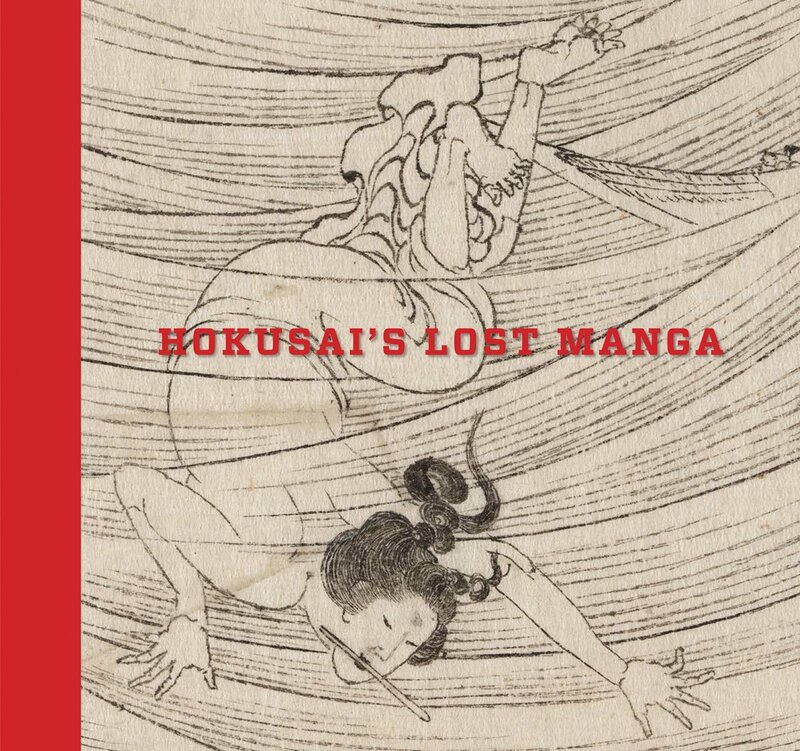 Read Christopher Benfey's article "The Magician of Manga" in the New York Review of Books Daily. ✦ In 2017, the United States Postal Service is commemorating the centennial of Andrew Wyeth's birth with a dozen Forever® stamps. Among the paintings to be featured are Christina's World (1948), Alvaro and Christina (1968), North Light (1984), and The Carry (2003). The official dedication is slated for July 12, 2017, at Brandywine River Museum of Art. Wyeth was born July 12, 1917, and died January 16, 2009. ✦ Textile artist and designer Lou Gardiner, who produces one-off contemporary embroidery, discusses her creative process in the video that follows. Lou Gardiner Contemporary Embroidery from R&A Collaborations on Vimeo. ✭ Miniature artist books and broadsides from the "Dead Feminists" series are on display in "Bold Broadsides and Bitsy Books", continuing through March 17, 2017, at the National Museum of Women in the Arts. See the Dead Feminists Broadsides page. ✭ Norfolk, Virginia's Chrysler Museum of Art continues its multi-sensory installation "Wendy Maruyama" The wildLIFE Project" through January 15, 2017. 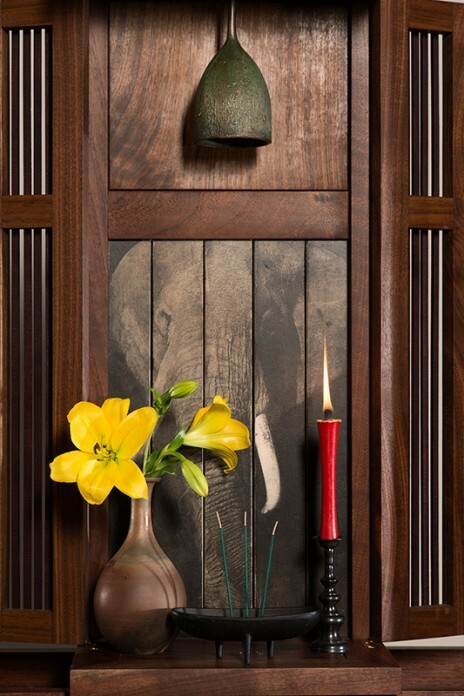 Organized by the Houston Center for Contemporary Craft, where it appeared in 2015, the traveling exhibition, which examines the plight of African elephants and rhino and protests illegal poaching and the illegal ivory trade, features blown-glass elephant tusks housed in a wooden reliquary, an empty tomb (Cenotaph) and other cabinet forms into which Maruyama has integrated video, text, or images, life-size sculptures of elephant heads and trunks, and a Buddhist-style shrine offering incense as well as a bell that rings every quarter-hour in homage to the endangered or already lost wildlife. ✭ See 90 Indian paintings from the 16th through 19th centuries at the Princeton University Art Museum, Princeton, New Jersey. On view through February 5, 2017, the paintings, most of which were made to accompany literary classics or other texts, are drawn from the Edwin Binney 3rd Collection housed at the San Diego Museum of Art. Representing "the most significant gathering of South Asian art ever shown at Princeton," the paintings are arranged by book or type of book to provide a narrative context. As they tour the exhibition, titled "Epic Tales from India", viewers will have opportunities to learn about the region's varied traditions of manuscript-making and receive an introduction to some of South Asia's most important literature, which ranges from sacred Sanskrit texts to secular stories, histories, and poems. A variety of exhibition-related multimedia is available online, including raga performances and a video, "Sita Sings the Blues", a re-telling of the Ramayana. Following is the fourth in a periodic series about the careers and recent activities of artists I have showcased in my monthly Artist Watch column at the online arts magazine Escape Into Life. Congratulations to all on their many noteworthy successes! May you have a wonderful New Year. ✭ Maggie Matthews, West Cornwall, England ~ (September 17, 2015, Artist Watch) ~ Maggie is exhibiting a number of her works in the group show "Winter Collection", running through February at Cornwall Contemporary. ✭ Patrick Palmer, England (January 30, 2014 Artist Watch) ~ Patrick was featured in Saatchi Art's "Inside the Studio" on December 9. See "Patrick Palmer's Nudes Are Works of Simple Beauty". ✭ Nicola Slattery, Norfolk, England (September 18, 2014, Artist Watch) ~ Several of Nicola's paintings, including Riding Free, were shown this fall at Langham Gallery, Lamb's Conduit Street, London. ✭ Sophie Ploeg, South Gloucestershire, United Kingdom (November 19, 2015, Artist Watch ) ~ Two of Sophie's beautiful lace paintings, Brabant Lace and Lace in Box, were selected for the 164th Annual Open Exhibition in the Royal West of England Academy of Art, Bristol, United Kingdom. The exhibition ran from October 9 to November 27. ✭ Salma Arastu, Berkeley, California (January 16, 2014, Artist Watch) ~ Salma has exhibited in a number of venues in 2016, including Peninsula Museum of Art, Burlingame, California ("Celebration of Calligraphy: Paintings by Salma Arastu", January 17 - April 10); Kaleid Gallery, San Jose, California ("Vision: An Artist's Perspective", July 5-29); and Firehouse Arts Center, Pleasanton, California ("Transformation: 25 Years of Asian American Women Artists", July 30 -September 3). In November 2015, Salma was the subject of a St. Louis Post-Dispatch article by Sarah Bryan Miller: "Artist Salma Arastu Creates Abstract Beauty from Islamic Calligraphy"; she also was interviewed on the St. Louis Public Radio program Cityscape (for audio and brief text, see "Prayer for Peace: Calligraphic Artist Salma Arastu's MOCRA Works Aim to Build Bridges Between Faiths"). ✭ Tina Spratt, Somerset, England (December 17, 2015, Artist Watch) ~ Tina's gorgeous pastel painting Slumber was awarded the 2016 Pastel Journal Founder's Award in memory of Maggie Price (First Prize), in the 18th Annual Pastel 100 Competition (winners' list). In addition to a cash prize of $5,000, Tina and her work will be showcased in the March/April 2017 issue of Pastel Journal. 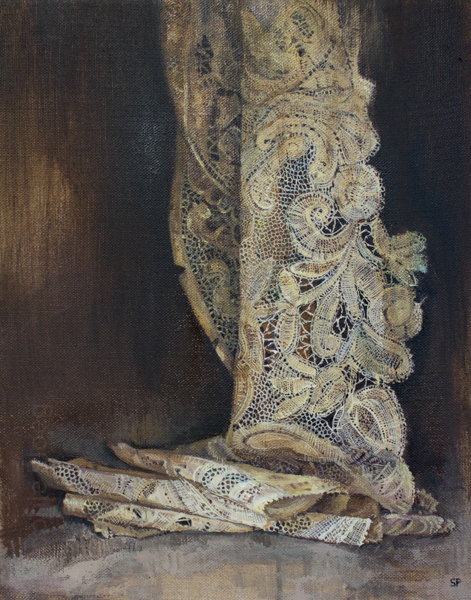 ✭ Mara Light, Pittsburgh, Pennsylvania (March 19, 2015, Artist Watch) ~ Selections from Mara's exceptionally beautiful new series Beneath the Surface were the subject early this year of a feature in the contemporary art magazine Hi Fructose; see "Mara Light's Female Subjects Emote Through Textured Layers". Today brings for viewing the 16-minute Napoleon in Exile, described as a "tale of a Mother trying to prepare her autistic son for life without her". Directed by Michael Lukk Litwak, the film was screened earlier this year at a number of film festivals. Napoleon In Exile (Short Film) from Michael Lukk Litwak on Vimeo. My thanks to Short of the Week. Below is a stellar treatment by filmmaker Laura Scrivano of T.S. Eliot's "The Love Song of J. Alfred Prufrock". Scrivano describes her film, one in a series of shorts titled The Passion, as "an adaptation, an interpretation" of the poem. Filmed in New York City, the videopoem stars Australian stage, film, and television actor Daniel Henshall. ✦ Martin Pickles's animation, with recitation by Mikey Georgeson, at Moving Poems. ✦ Everett Wilson's animation, with poet reading, at Moving Poems. Take note of these half-dozen early- to mid-winter poetry readings around the country. ✭ Stadler Center for Poetry at Bucknell University, Lewisburg, Pennsylvania ~ 2016-2017 Poet-in-Residence Mary Ruefle will give a reading on Tuesday, January 31, 2017, and participate in a Q&A on Thursday, February 2. 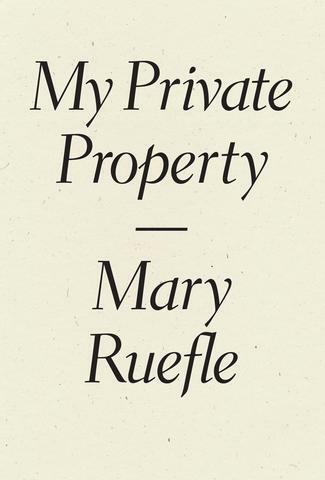 The award-winning Ruefle's most recent poetry collection is My Private Property (Wave Books, 2016). The center hosts 2016-2017 Stadler Fellow David Winter and Indian American poet Raena Shirali on Tuesday, February 21. ✭ Simone Muench at Art Institute of Chicago ~ Muench kicks off on Wednesday, January 6, 2017, a Poetry Foundation series of 30-minute lunch-time poetry readings to celebrate the re-opening of the institute's contemporary art collection. 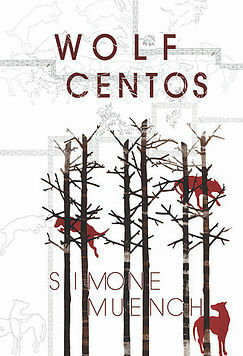 The author of five books, including Wolf Centos (Sarabande Books, 2014), Muench is a professor of English at Lewis University. Forthcoming from Black Lawrence Press is Suture, a collaborative sonnet sequence with Dean Rader. Other Poetry Foundation-sponsored events include "Drinking Gourd: An Evening of Poetry & Music" with Nicole Sealey; and U.S. Poet Laureate Juan Felipe Herrera on Tuesday, February 9, and Wednesday, February 10. Herrera will share his La Casa de Colores project. ✭ Rosa Lane and Nina Lindsay at Studio One, Oakland, California ~ The reading, sponsored by Sixteen Rivers Press, is scheduled for Friday, February 3, 2017. Lane is the author of Tiller North (Sixteen Rivers, April 2016); Lindsay most recently published Because (Sixteen Rivers, April 2016). 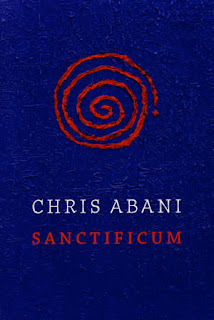 ✭ Chris Abani at Rollins University, Winter Park, Florida ~ Abani reads on Thursday, February 16, 2017, as part of the English Department's "Winter With the Writers" series. The event includes a reading, on-stage interview, and book signing. A much-honored poet, essayist, screenwriter, novelist, and playwright, Abani is the founder of the Black Goat Poetry Series series affiliated with Akashic Books. He also promotes The African Poetry Book Fund. 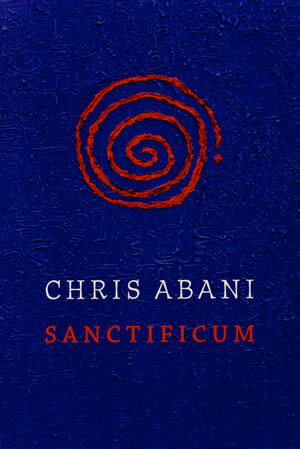 His most recent poetry collection is Santificum (Copper Canyon Press, 2010). ✭ Ross Gay at University of Arizona Poetry Center, Tucson, Arizona ~ On Thursday, January 19, Gay appears in the second installment of UA Poetry Center's series of readings and discussions about climate change and poetry. The readings are built around two questions: "What role does poetry have in envisioning, articulating, or challenging our ecological present? What role does poetry have in anticipating, shaping, or even creating our future?" 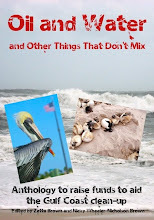 The presentation is part reading and part craft talk; it will include a book signing. Read more about the "Climate Change & Poetry" series. 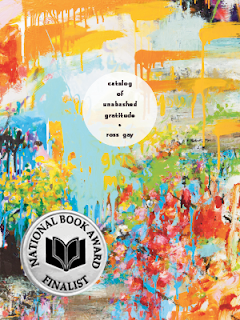 Gay, a finalist for the 2015 National Book Award in Poetry, is the author, most recently, of Catalog of Unabashed Gratitude (University of Pennsylvania, Pitt Poetry Series, 2015). ✭ James Galvin at Oregon's Portland State College of Liberal Arts & Sciences ~ Galvin will give a reading on Thursday, January 26, 2017. He will be followed on Friday, February 3, by Steven Karl; and on Friday, February 17, by Arisa White. 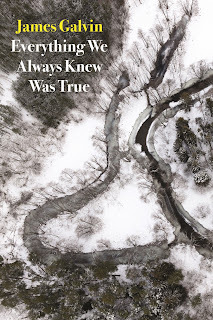 Galvin has written seven volumes of poetry; his most recent collection is Everything We Always Knew Was True (Copper Canyon Press, August 2016). On this Fourth Sunday in Advent, art historian James Romaine talks about The Merode Altarpiece by Robert Campin, a master of Flemish and early Netherlandish painting. The altarpiece resides in the Cloisters Collection. This post concludes Romaine's "Art for Advent" series for 2016. On Christmas Day, he discusses the Unicorn Tapestries. Nothing you'll find more orphan than the heart. and the wors[t] thing anyone can say is 'No'. Today's short is Dollhouse: Portrait of a 'Reborn' Artist, a film about artist Kate Charles, who creates realistic infant baby dolls. Exploring art, motherhood, and make-believe, the documentary was a 2016 SXSW Film Festival winner. The film was directed by Terri Timely and produced by Brady Welch. Read Sarah Larson's "The Screening Room: Dollhouse" at The New Yorker (March 22, 2016). 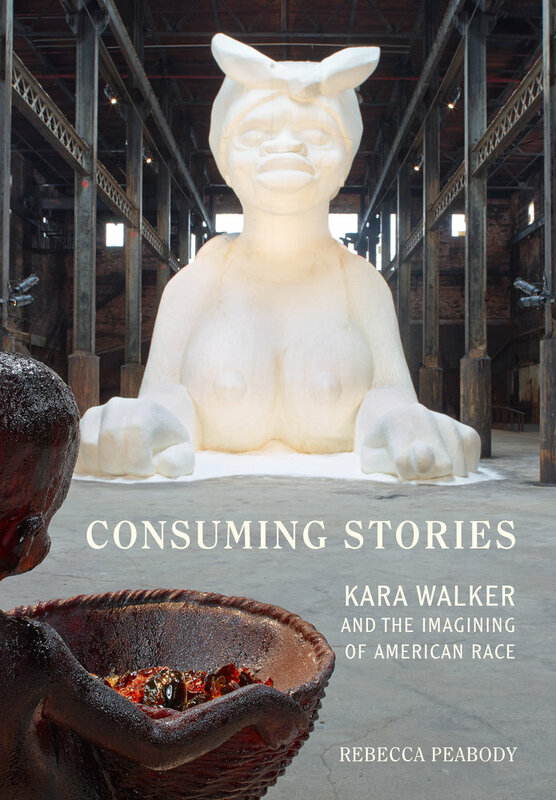 ✦ In November, the University of California Press published art historian Rebecca Peabody's Consuming Stories: Kara Walker and the Imagining of American Race. In the 216-page book, Peabody, who heads Research Projects and Programs at the Getty Research Institute in Los Angeles, investigates how through her art Kara Walker narratively depicts race, gender, power, and desire. This is an important and timely book. ✦ Rosalind Davis and Annabel Tilley have written a new book, What They Didn't Teach You in Art School (Ilex Press), that is slated to be released January 3, 2017. Both authors are artists. 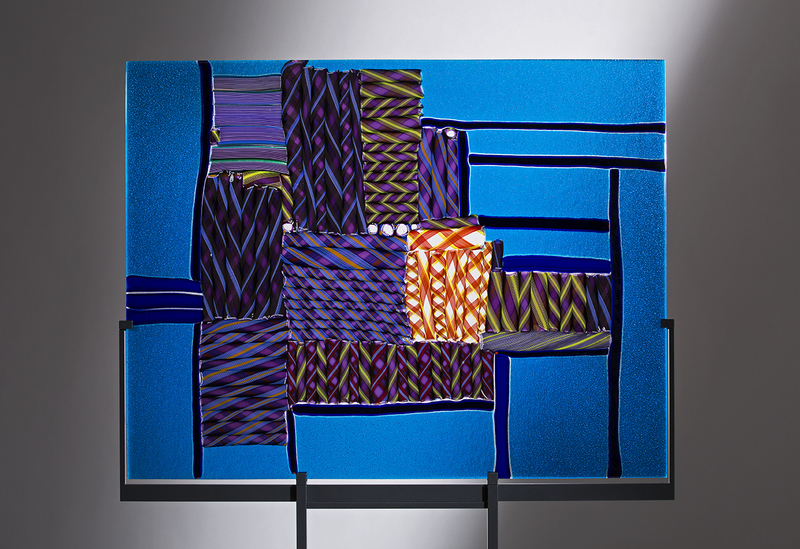 Davis also is permanent curator at Collyer Bristow Gallery and a lecturer and consultant. ✦ Take a look at these 19th Century cyanotypes of British algae by Anna Atkins (1799-1871), a botanist and photographer. This is just one example of the store of great stuff at The Public Domain Review. ✦ Art curator, historian, writer, and naturalist Robert McCracken Peck looks at The Natural History of Edward Lear (David R. Godine, 2016). ✦ Read Art in America's feature "Viewer Positioning System" to learn about the ASK app project from Brooklyn Museum. ✦ The documentary An Art That Nature Makes offers a look at the great photographer Rosamond Purcell and her fascination with the natural world. Also see: "Art of the Collecion: The Photography of Rosamond Purcell" at Vimeo. ✭ The Jerald Melberg Gallery, Charlotte, North Carolina, is exhibiting the abstract compositions of New York-based photographer Kim Keever through January 14, 2017. The lush, gorgeously colored C-prints are featured in the online exhibition catalogue Kim Keever: Water Color. Also on view through the same period are Felicia van Bork's wonderful monotype collages. Listen to van Bork's artist talk. Her exhibition catalogue, Felicia Van Bork: Pasted Paper, is viewable online. ✭ Up through January 29, 2017, at Nelson-Atkins Museum of Art, Kansas City, Missouri, "Surveillance" offers a look at photography's role in secretive looking from 1864 to 2014. Works include photographic examples of the hidden camera, military surveillance, mapping satellites, and drones. Among the artist represented in the exhibition are Jeff Brouws, Henri Cartier-Bresson, Gail Albert Halaban, Trevor Paglen, Erich Salomon, and Paul Strand. A research guide for the exhibition is available. ✭ In Texas, the Dallas Museum of Art has mounted "Concentrations 60: Lucie Stahl", on view through March 12, 2017. The exhibition, the Berlin artist's first solo museum show, presents a selection of 14 of Stahl's new and older large-format images encased in resin (they comprise found materials such as soda and beer cans), as well as a number of her Prayer Wheels. Gallery talks are held on Wednesdays. Several images are available at the exhibition link. Read about the exhibition in Arts and Culture Texas, ArtSy, Dallas Observer, and Focus Daily News. ✭ On view through March 5, 2017, at MoMA PS1, Long Island City, New York, are paintings by Canadian artist Sascha Braunig. The exhibition, "Sascha Braunig: Shivers", features 24 works made over the last five years that take a "unique approach to the studio portrait". ✭ The Fraenkel Gallery, San Francisco, is presenting "Lee Friedlander: Western Landscapes" through December 23. The exhibition focuses on square-format photographs Friedlander made during a series of roadtrips undertaken in the 1990s and 2000s. There are approximately 50 images in the show, many of which have been published and displayed for the first time. Their subjects include the landscapes of Yosemite, Death Valley, and Big Bend. Seventeen images are available at the exhibition link above. 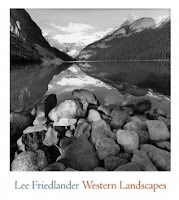 Accompanying the exhibition is Yale University Press's Lee Friedlander: Western Landscapes, featuring more than 175 images of the western United States, Canada, and Mexico. I am delighted today to introduce in my Artist Watch column at Escape Into Life the work of United Kingdom-based artist Michelle McKinney. Michelle, who has a bachelor's degree in jewelry design and silver smithing, exhibits internationally and is in the permanent collection of The Royal Albert Memorial Museum in Exeter, England. Michelle had the honor some years ago of working with RAMM on a commission. My Artist Watch column presents images of eight of Michelle's most recent — and gorgeous —sculptures and photographic prints, an Artist Statement, a brief biographical profile, and Michelle's social media sites. a mark of something that is otherwise visible. A multidisciplinary artist of research-based work, Taryn Simon is especially interested in systems of classifications and categorizations, and how we perceive, judge, manipulate, alter, and gain understanding of what is hidden and secret and "ever morphing" in our most "foundational spaces" of knowledge, such as religion, security, and law. Her investigations often involve both image (photograph) and text and "this dance between" the two where "there's instability of fact". In the video below, produced in October 2016 for the Louisiana Channel, Simon, interviewed by Marc-Chrisoph Wagner at her New York City studio, seeks to articulate her conceptual framework and artistic process. 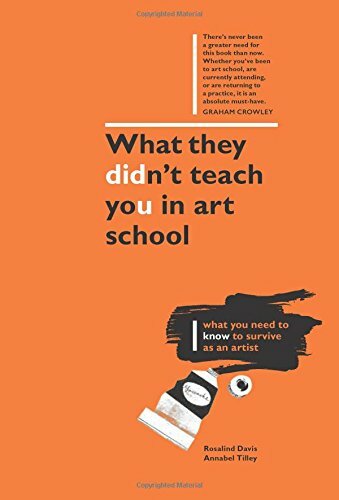 The subject of numerous essays on art, Simon, a Guggenheim Fellow who also works in sculpture, film and video, and performance, exhibits internationally in such institutions as London's Tate Modern, Berlin's Neue Nationalgalerie, and New York City's Museum of Modern Art and Whitney Museum of American Art. Her project Paperwork and the Will of Capital (2015) appeared at the United Nations and Gagosian Gallery in New York City in September 2016; earlier that same year it was exhibited in Rome. Her work An American Index of the Hidden and Unfamiliar (2007) is on view in an exhibition with the same title through January 15, 2017, at Denmark's Louisiana Museum of Modern Art; the special exhibition "A Soldier is Taught to Bayonet the Enemy and not Some Undefined Abstraction" can be seen through January 15, 2017, at Staatliche Kunstsammlungen in Dresden, Germany. Simon's work can be found in the collections of the Centre Georges Pompidou in Paris, Tate Modern, and the Metropolitan Museum of Art, among others. Listen to or read the transcript of Simon's April 2016 interview with Charlie Rose. My friends at TweetSpeak Poetry scheduled a Twitter Poetry Party this part Saturday evening, and I was delighted to be able join the fun. While Glynn Young is the resident assembler of responses to the prompts, all from Homer's The Odyssey (800 B.C.E. ), I've used my tweets from my still available live stream, and several borrowed words or lines, to create the tiny, entirely new poems that follow. story. Yours is the poet's oath. might be your sea in snow light. of promises to weave each night. in eyes dark as poplar. my neck scarlet with shame. spell a morning of tears. lashes silvered so near the moon. This is another in an occasional series that rounds up poetry-related interviews, essays, or features worth reading and perhaps even saving. ✭ Matthew Zapruder, "Poetry and Poets in a Time of Crisis", Literary Hub, December 6, 2016 ~ Matthew Zapruder has written four poetry collections, most recently Sun Bear (Copper Canyon, 2014), a 2015 Kessler Poetry Book Award Finalist. Next year, Ecco/Harper Collins will publish "Why Poetry" (August 15, 2017). Many readers know Zapruder via The New York Times's poetry column, which he edits. ". . . To be continually surrounded by language used exclusively for utilitarian purposes is a threat to the disinterested yet sacred attention a poet must have to words. Also, poetry has an intimate, necessary relation with silence. The work of poets is impaired by too much noise and language, a scarcity of silence." ✭ Claire Schwartz, "Robin Coste Lewis: 'Black joy is my primary aesthetic.'" Literary Hub ~ Robin Coste Lewis received the 2015 National Book Award for Poetry (for Voyage of the Sable Venus). Schwartz's excellent interview was conducted in Los Angeles. ". . . It is difficult to explain the psychological damage of what it feels like never to see yourself reflected back in your world in any way, ever, . . . "
". . . Language is the supreme archive for me. . . ."
"I really feel that a lot of the problems we have as readers—and in our lives—is that we don't want to be uncomfortable. But I want to trigger you. . . If I'm not paying attention to the world, I'm not being a real poet." ✭ Bernadette Darcy, "With Humanizing Poetry, Kim Garcia Questions Drone Warfare", The Heights ~ Garcia, who teaches creative writing at Boston College, has won numerous awards, including the 2015 White Pine Press Poetry Prize (for The Brighter House). Her publications include the recently published Drone (The Backwaters Press, September 2016). "I do with my students exactly what's worked for me. I teach my students to be consistent in writing in the morning, before anything else breaks in." ✭ Megan Garber, "Still, Poetry Will Rise", Atlantic Magazine ~ This is an excellent interview with Don Share, editor of Poetry magazine. ". . . Poets . . . have a sense for things that are in the air. . . ."
". . . great or unknown, poets are participating in what makes a difference in the world...."
". . . The poem is a catalyst where you're bringing two different kinds of people together. And at its best, when it works, there's a kind of spark, and everyone comes away illuminated by what the spark has ignited." ✭ Kerri Arsenault, "Interview with a Gatekeeper: Wave Books' Matthew Zapruder", Literary Hub ~ An excellent in-depth interview with Zapruder, poet and writer, teacher, editor-at-large of Wave Books, and poetry editor at The New York Times. ". . . [Poetry editing is] like any other editing: you bring your understanding of what someone's doing in the work to their work and try to help move it in the direction. . . you help them be the best selves they can be as artists. . . ."
". 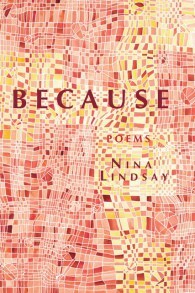 . . our language has become so degraded that there's something about reading a poem, and if it's a really good poem—it brings precision and its attention to what things mean." ✭ Major Jackson and Mira Rosenthal, "'Every Poet Has to Be Lonely': A Conversation with Tomasz Rozycki and His Translators", World Literature Today ~ Rozycki is an award-winning poet, translator, and literary critic. ". . . Every poet has to be lonely. It's a good position not to be considered part of a kind of narrative." ✭ Kathleen Heil, "Pain doesn't hurt. Fear does: an interview with poet Gustavo Calderon", The Best American Poetry Blog ~ Gustavo Barrera Calderon, who grew up in Chile during the Pinochet regime, is the author of eight poetry collections. ". . . For me, writing is always a dialogue. . . ."
". . . I believe that art, poetry included, is a space of freedom and exploration, not a field for political battles or social recognition. . . ."
Today, for the Third Sunday of Advent, art historian James Romaine examines a late Gothic boxwood rosary bead at the Cloisters in New York. secretly believe both sides. . . .
Below is the official trailer for the new Martin Scorsese film Silence (Paramount Pictures, 2016), which is to open in limited release later this month and more widely in January 2017. It was earlier screened by the National Board of Review, New York Film Critics Circle, and the Los Angeles Film Critics Association, as well as at the Vatican in Rome, Italy. 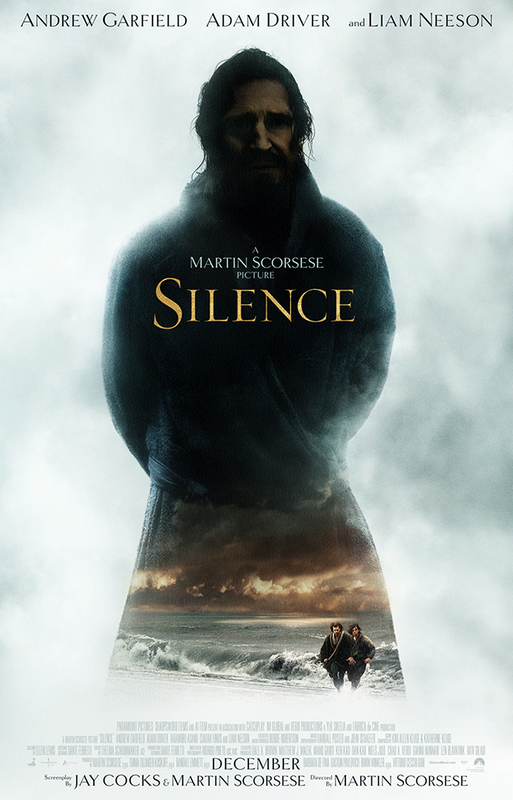 An historical drama, the film is based on a novel of the same name by Shusaku Endo (1923-1996), which relates the story of the persecution of two Portuguese Jesuit priests (played by Andrew Garfield and Adam Driver) who seek to find the missing missionary who was their mentor (played by Liam Neeson) and to minister to Christians in feudal 17th Century Japan, where the practice of Christianity is prohibited. Silence from The Playlist on Vimeo. 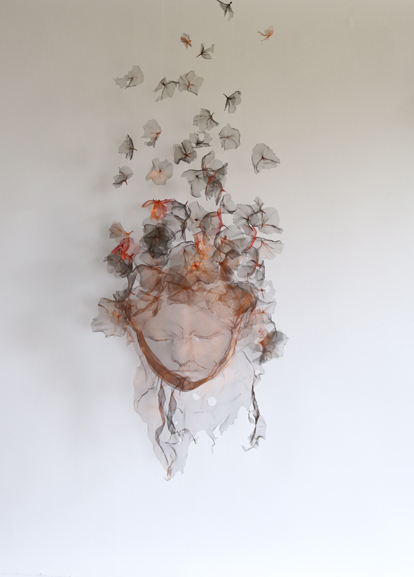 ✦ Washington, D.C.-area sculptor, painter, and installation artist Jacqui Crocetta will wow you with her sculptures of sticks, branches, and such materials as goatskin, handmade paper, and seeds. ✦ Bob Dylan's "The Beaten Path", a collection of landscapes on view at London's Halcyon Gallery, can be toured virtually. The exhibition, running through December 11, includes sketches, watercolors, and acrylics. See Vanity Fair's "Take a Virtual Tour of Bob Dylan's London Art Exhibit". Also read "In His Own Words: Why Bob Dylan Paints". ✦ The Mary Griggs Burke Center for Japanese Art has opened at Columbia University. ✦ Ann Martin of All Things Paper makes the best discoveries. Just look at CRIZU's folded book sculptures and paper jewelry. Visit the CRIZU Website to view the latest projects. ✦ Below is the trailer for Mele Murals, a 2016 documentary about contemporary graffiti artists Estria and Prime and their project with a group of Native Hawaiian youth who learn how to keep their culture alive by relating their personal stories through their murals. Screened at numerous film festivals, the documentary was directed by Tadashi Nakamura and produced by Keni Lee. Mele Murals Trailer from Tadashi Nakamura on Vimeo. ✭ New York City's Museum of Modern Art is featuring a dozen photocollages by Josef Albers (1888-1976) in "One and One Is Four: The Bauhaus Photocollages of Josef Albers". On view through April 2, 2017, the photocollages were made by Albers before he fled Nazi Germany for the United States. 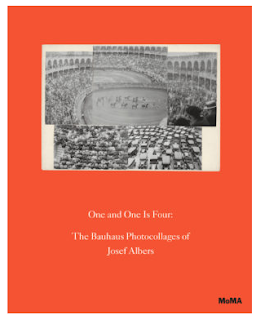 A 140-page catalogue by Sarah Hermanson Meister, showcasing all 70 of Albers's photocollages, accompanies the exhibition. (Preview a 23-page sample from the catalogue.) A gallery talk is scheduled for January 4, 2017, at 12:30 p.m.
✭ The work of American modernist Stuart Davis (1892-1964) is on view at the National Gallery of Art, Washington, D.C., through March 5, 2017. 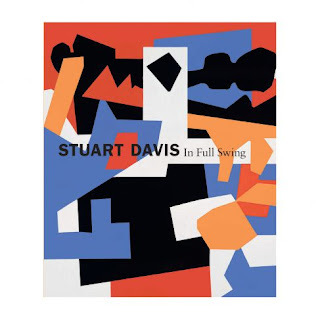 In addition to exploring Davis's working methods, the exhibition, "Stuart Davis: In Full Swing", features 100 of the artist's jazz-inspired compositions. A 260-page catalogue with 209 illustrations accompanies the exhibition. The museum is sponsoring a teachers' workshop, "In Full Swing: The Art of Stuart Davis", on February 11, 2017. The exhibition will travel to the Fine Arts Museums of San Francisco (April 8, 2017 - August 6, 2017) and Crystal Bridges Museum of American Art, Bentonville, Arkansas (September 16, 2017 - January 8, 2018). Earlier this year it was at the Whitney Museum in New York City. 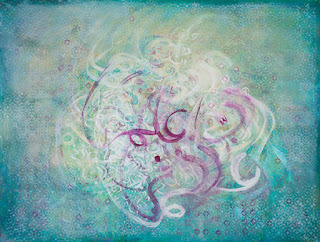 ✭ Artist Barbara Williams is showing in "Six Paths to Everything" at Studio Gallery DC. Her beautifully crafted works, inspired by Himalayan prayer flags and India's "Pali script: The Buddha", are made on specially prepared watercolor paper. The exhibition continues through December 17. ✭ Paintings and drawings by Cezanne, Pissarro, Morisot, Renoir, Cassatt, and others are on view through June 11, 2017, at the Rhode Island School of Art & Design (RISD) Museum, Providence. The exhibition, "Inventing Impressionism", highlights the artists' innovative creative process and use of materials and showcases rarely seen works on paper, including Degas's monumental pastel Six Friends at Dieppe and Monet's A Walk in the Meadows at Argenteuil, the latter a recent gift to the museum. A selection of works can be seen at the exhibition link. ✭ In Philadelphia, the Pennsylvania Academy of Fine Arts has mounted "World War 1 and American Art", a major museum exhibition that explores American artists' responses to WWI. Continuing through April 9, 2017, the exhibition is organized around eight themes designed to follow the war's own narrative: "Prelude: The Threat of War", "Hartley and Hassam: Tenuous Neutrality", "Debating the War", "Mobilization", "Modernists and the War", "Battlefields", "The Wounded and the Healers", and "Celebration and Mourning". Among the paintings showcased is John Singer Sargent's massive Gassed (1919), on loan from the Imperial War Museums. The 160 works on view, including paintings, drawings, sculpture, prints, photographs, posters, and ephemera, were made by 80 artists of the period. A catalogue (see image below) is available. Read "John Singer Sargent Painting on the Horrors of War Coming to Philadelphia", Newsworks, October31, 2016, and "Epic 'Harrowing' Painting of War Travels to PAFA for Exhibit", Philadelphia Inquirer, October 28, 2016.